The past weeks were so busy that I wasn't able to do a lot of things for my blog. 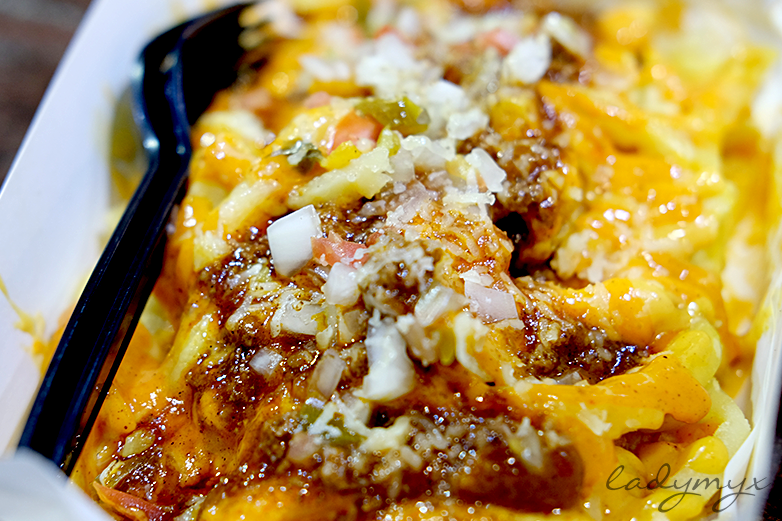 Eating out, taking photos, exploring new cuisines, such as these for a post. But that's okay. Friends from Poland came, then followed by some of those from Australia, then after, fiance finally came back home, now, we are with the paper arrangements and preparation for the wedding this summer. But yeah, we can escape life if we want to right? And this is how I scape it. Cheating from my IF schedule with a generous serving of flavored fries and two burgers just for dinner. 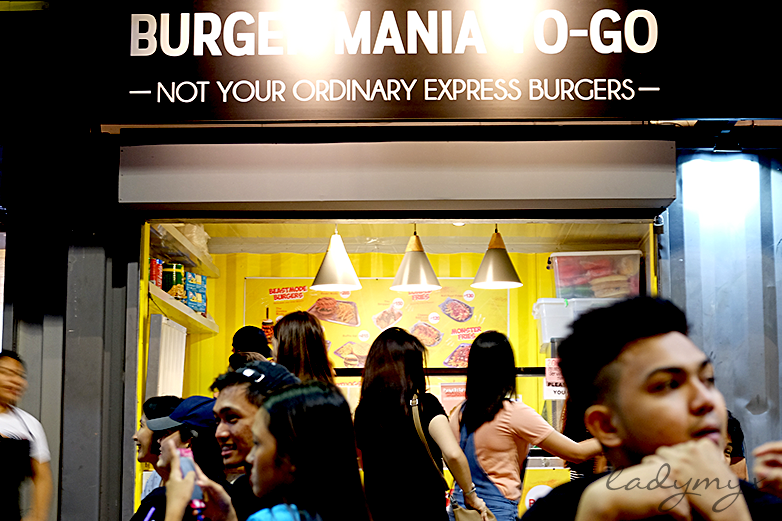 Being one of the best selling stalls in that food park is this burger stall of Burger Mania. They already have stores in Lipa & Laguna and now expanded to Batangas City so those living here will be able to try them as well. 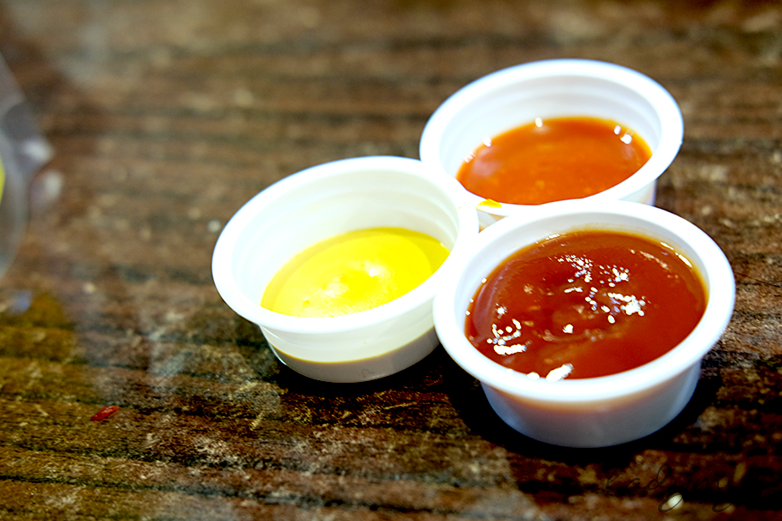 The past years, a lot of burger chains popped out but some closed due to lack of popularity, and that is simply because the burgers were not so good that people chose not to have them again. 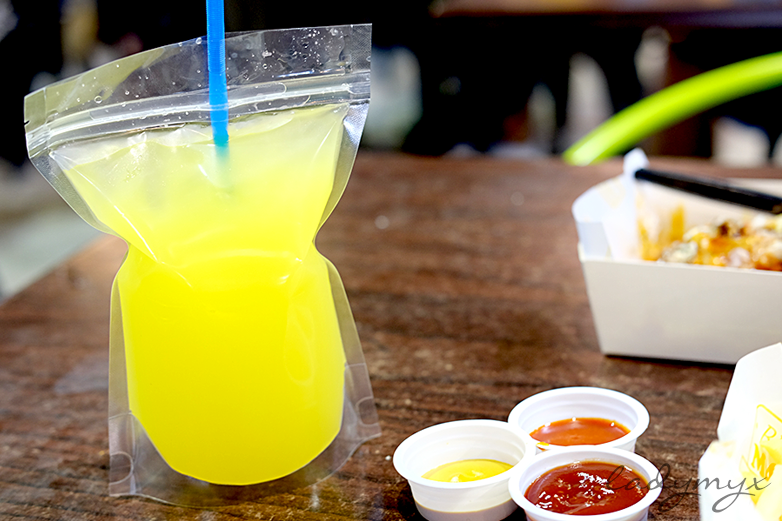 If you'll ask me, I will still opt for Burger King if it's about buger and fries. 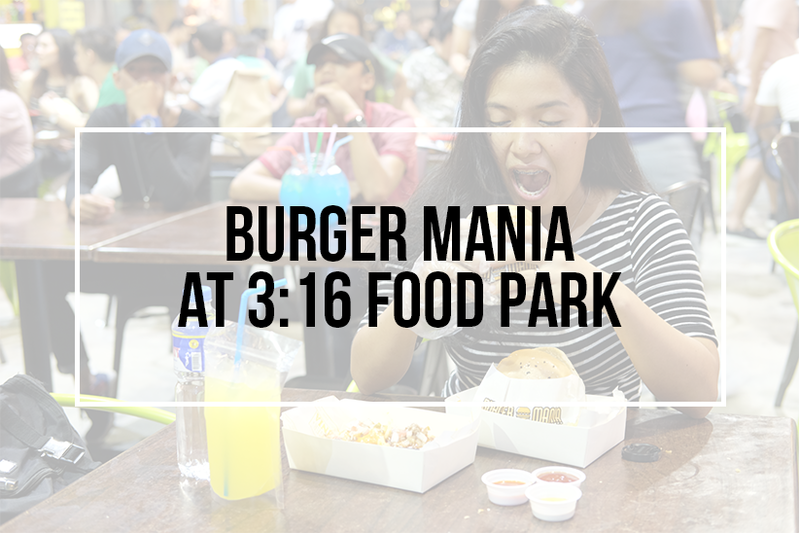 But I am happy that Burger Mania's burgers were good that I'll go back here again to have their offerings. 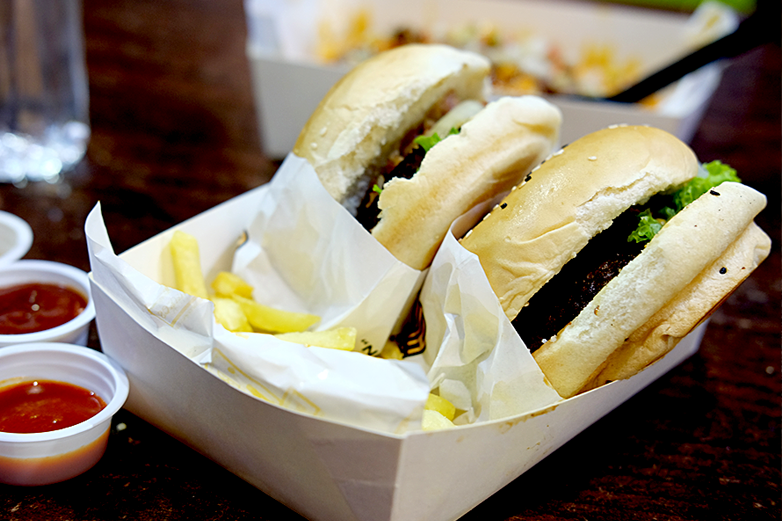 It was Php185 (US$3.55) for a pair of burger (Buy 1 Take One Burger - That's My Baecon) plus serving of fries. 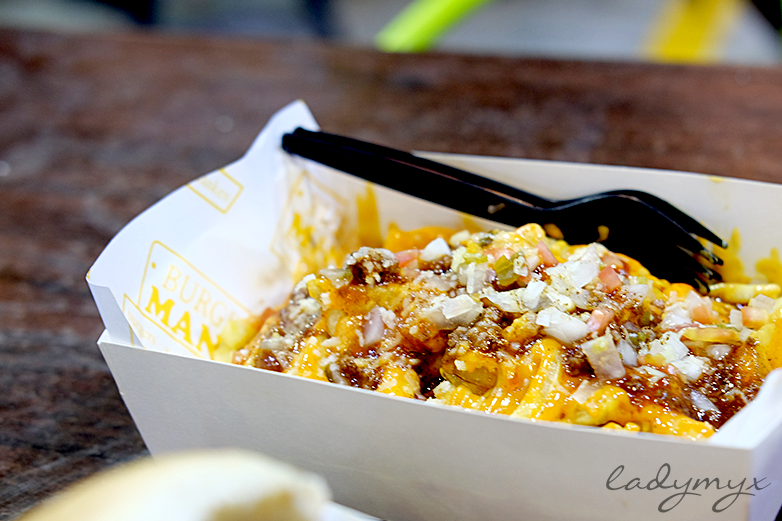 Fries, cheese, salsa and vegetables, my perfect combination of a not so ordinary fries serving. 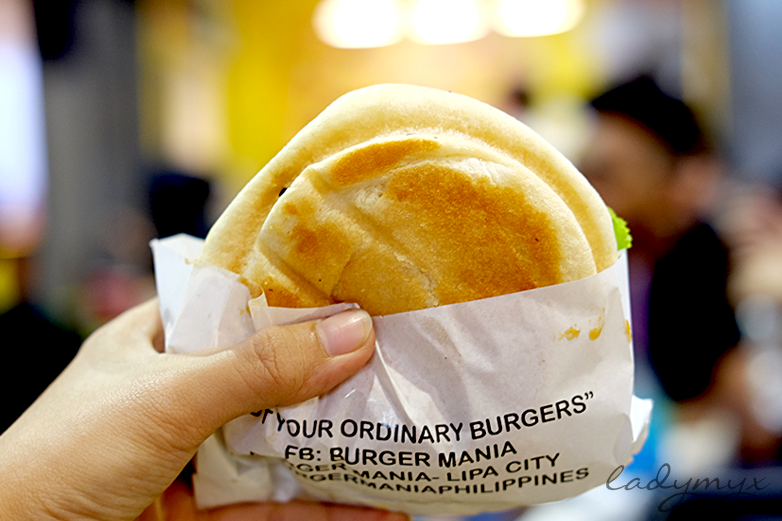 I hope they'll continue holding unto their motto, "Not your ordinary express burger!" How many times did I mentioned the word not ordinary? I don't know. But what I now is, Kasarap talaga ng burgers nila!